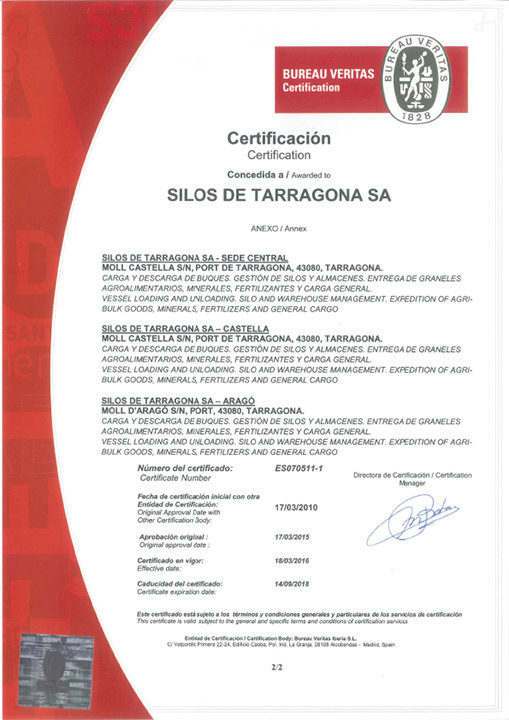 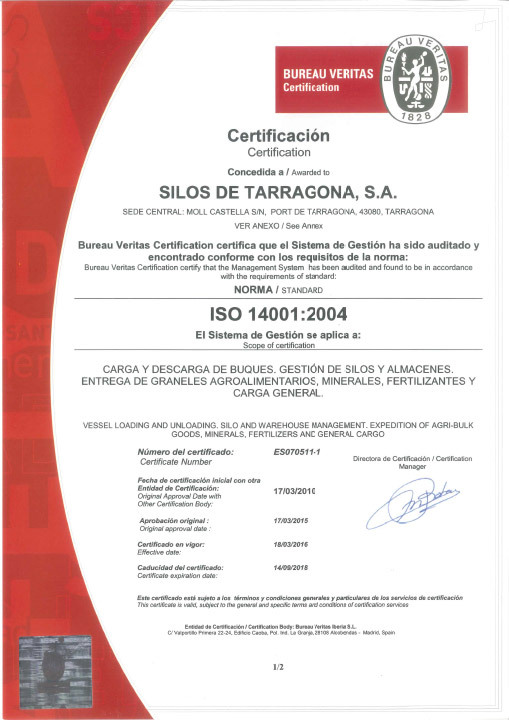 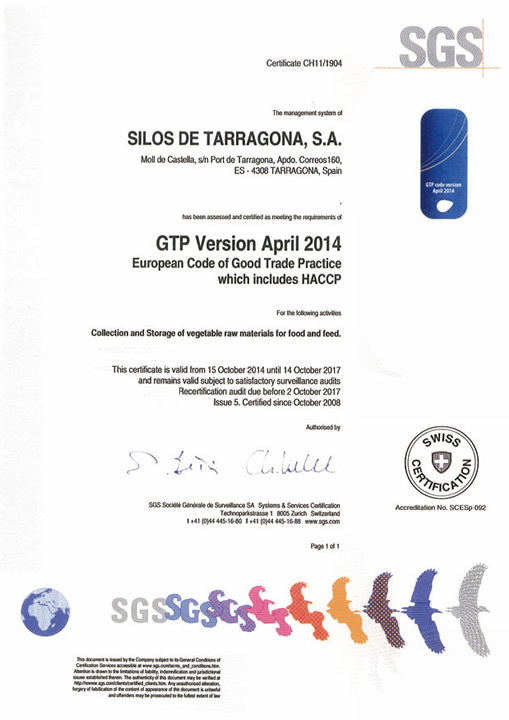 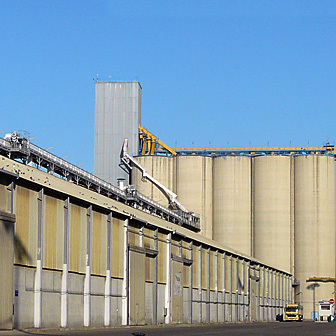 Silos de Tarragona SA (SITASA) wants to offer the highest quality in all the rendered services, as well as to ensure the prevention and control of its environmental activities and the prevention of occupational risks. 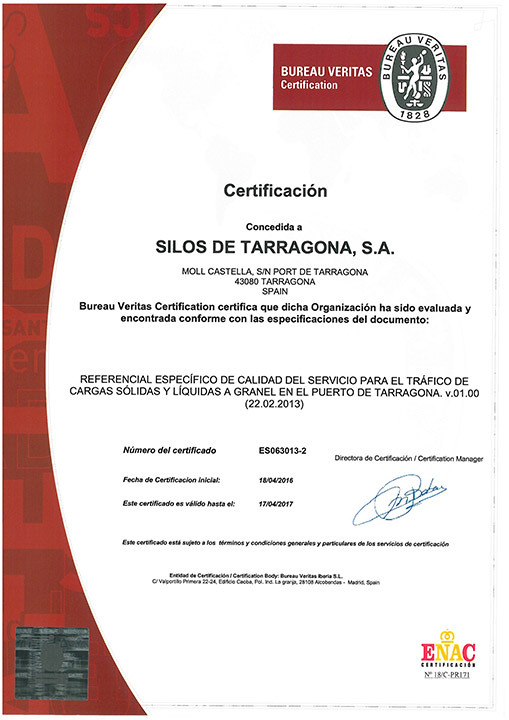 Law 20/2009 of prevention and control of environmental activities. 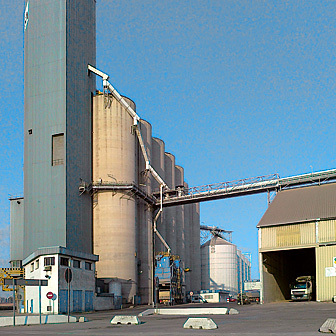 Under the regime of the environmental license, the activity is adapted to the Law 3/1998. 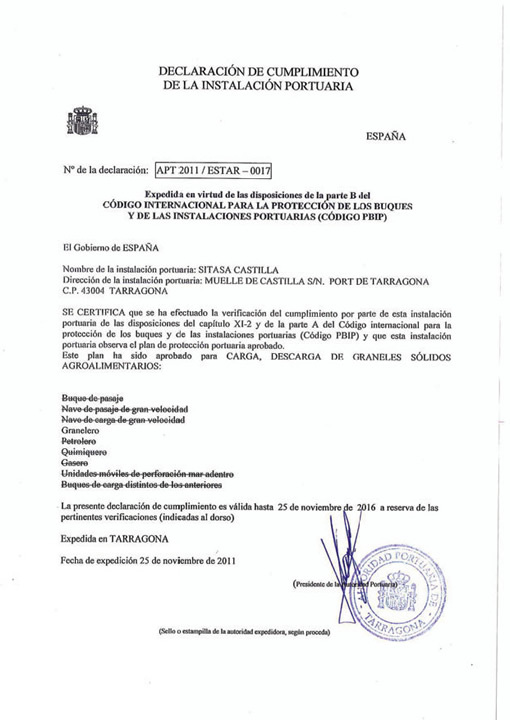 Act 31/95 on the prevention of work-related hazards and related regulations enacted after due diligence in October 2007. 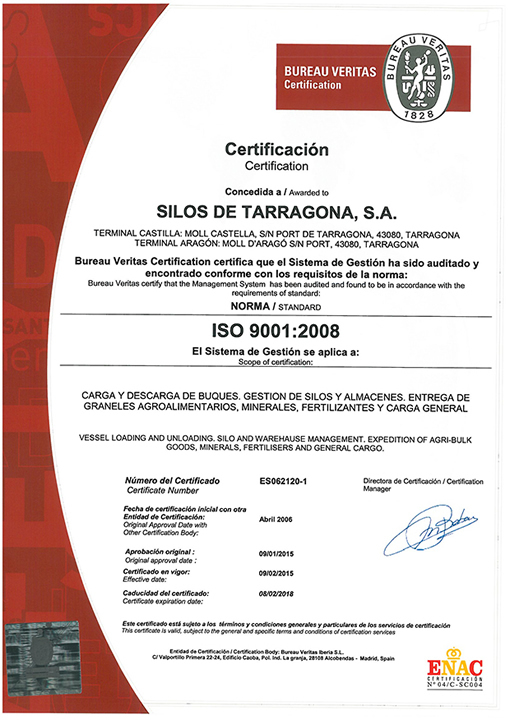 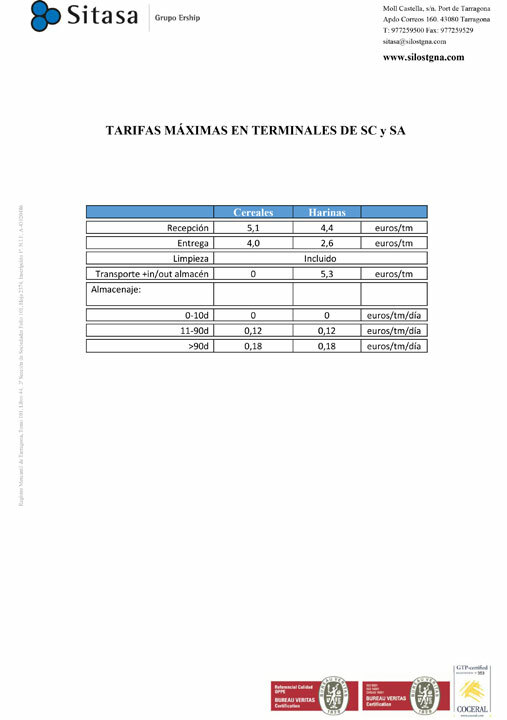 Reglamento 183/2005 about hygienic requirements of animal feed. Directiva 1994/9/CE about protection systems in works with potentially explosive atmospheres. 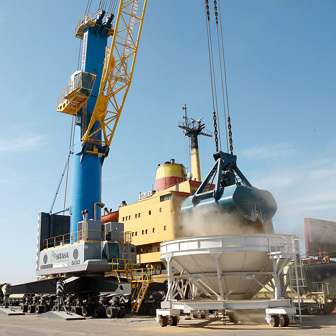 RD 995/2003 about loading and unloading operations of bulk merchant vessels. 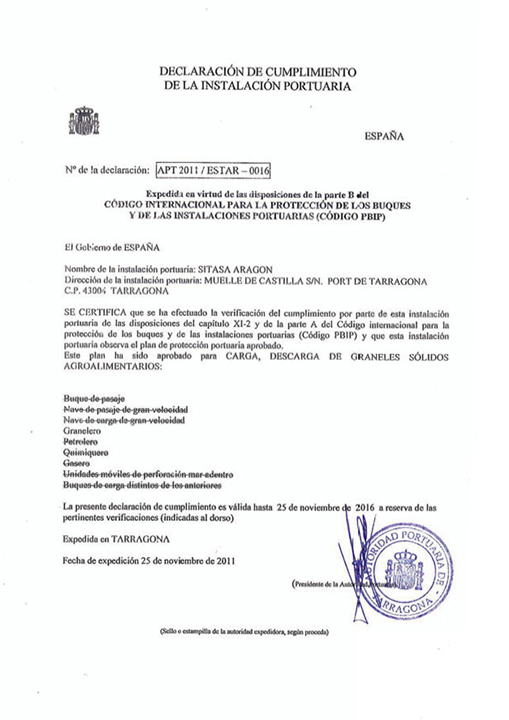 Orden de 27.04.1999 about control of wheiging non-automatic instruments. 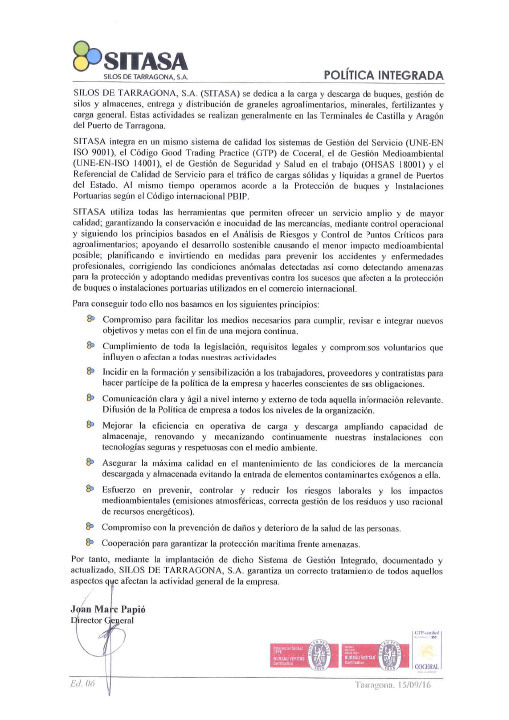 Ley Orgánica 15/1999 about protection of personal data (LOPD) and Real Decreto 994/1999 about safety measures of personal data files.